Our staff is certified by Bonneville Power Authority BPA as PTCS or Performance Tested Comfort Systems. This is a fancy way of saying we have the equipment to measure how much air is leaking out of the home that you paid to heat or cool. According to the US Department of Energy, roughly 20 to 30 percent of the air in the ducts never makes it to the intended rooms. 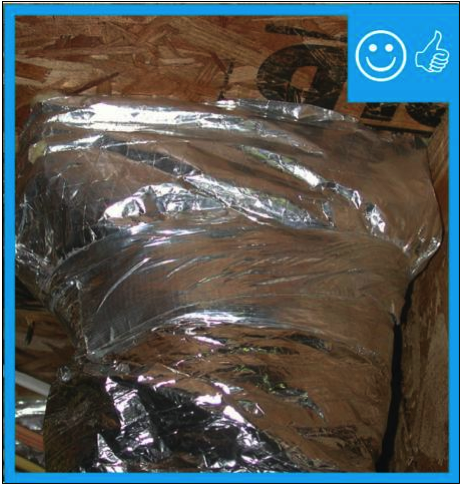 Despite its name duct tape should never be used on ducts. 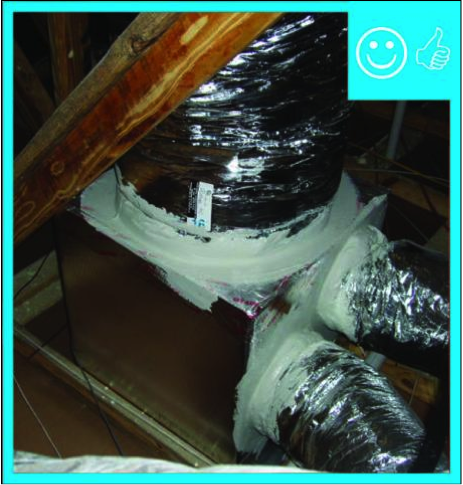 The proper securing method should be mechanical fasteners on flexible ducts and mastic on the rigid ducts. The only place the homeowner should see tape is on the air handler and this should look like foil tape. If you see something other than this, call us and we should be able to make your home more comfortable. The benefit of using a company that has the PTCS certification is knowing that the technician has had proper training and your home will be entered into the BPA registry, having been PTCS certified. When properly sealed a duct system should last 99 years according to the manufacturer. We also offer the less expensive version which is called prescriptive sealing. Instead of measuring the amount of leakage, the technician will visually inspect every duct connection that is accessible and applies the proper fasteners. This is also entered into the BPA registry. The drawback is that you will not know if there are small leaks in the main part of the ducts from pests or sharp objects. We can help you in designing the right insulation system for you and our local climate. Contact us with your inquiries at 541-678-5566.